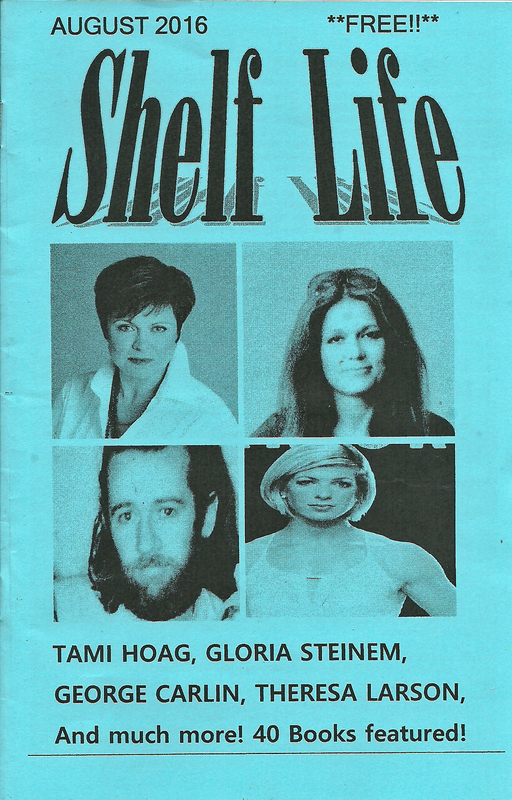 For pretty well every introduction to the past 183 issues of SHELF LIFE, I have talked about books. This time, I am going to speak about computers and how great they are when they work. Most of us never anticipate any problems which is why some of us don’t back up data as often as we should. Although this is the August issue, the July issue was slightly delayed finishing. I had edited up to page 16 one Sunday night. I backed the data up the previous night to page 13. Well, Monday morning, turning on the computer there was only a blank screen. Bottom line: something happening in the registry and files were corrupted. Windows 8 had to be reinstalled meaning I lost everyone on the computer. Since I had only backed up to page 13, I had to go back and retype 3 pages of the issues. Lesson learned. Back up your data every single night no matter what. That being said, now we can discuss books and the great titles you will find in this issue. They are great reads for a Summer Day or whenever you are inclined to sit down and read them. We are quite enthused about what titles will be released in the Fall, and you can be sure we will be reviewing them as soon as possible. So sit back and enjoy this issue. The bookshelves beckon. “…looks at this firsthand through their eyes, heart and soul of Barbara “B.” Smith and her husband Dan Gasby. 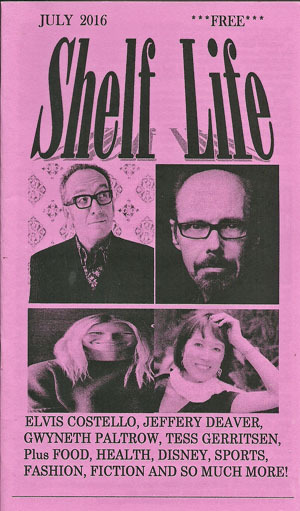 In the past year, SHELF LIFE has received dozens of books for review. In fact, this past Winter, our shelves were filled with more titles than ever before. It would be great if we could offer full reviews for all books but space does not permit. that to happen. That is why we are again offering an extended section about books worthy of your attention and purchase. The reviews are shorter than the typical reviews found in most issues but suffice to say they are highly recommended. Therefore no bookmarks will be noted at review’s end.